The final 2016 classic TT race over 4 laps was taken by Dunlop today. 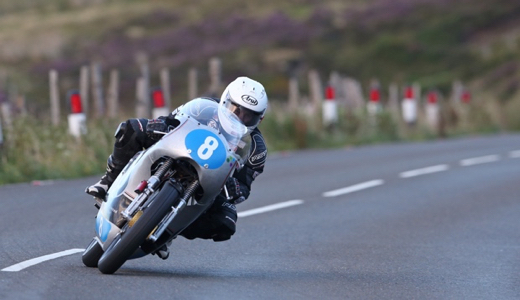 Michael Dunlop won the Junior Race in today's Isle of Man Classic TT Races. Former World Superbike and Grand Prix ace Pierfrancesco 'Frankie' Chili will be a special guest at this year's Classic TT, with the Italian attending the festival for three days. Cameron Donald will be riding one of the more esoteric machines at this year's Classic TT Races as he prepares for tonight's first qualifying session on the Isle of Man. Twenty-three time TT Race winner John McGuinness, riding the Team Winfield Paton, won his first Classic TT Race in today's Senior Classic TT Race on the Isle of Man.